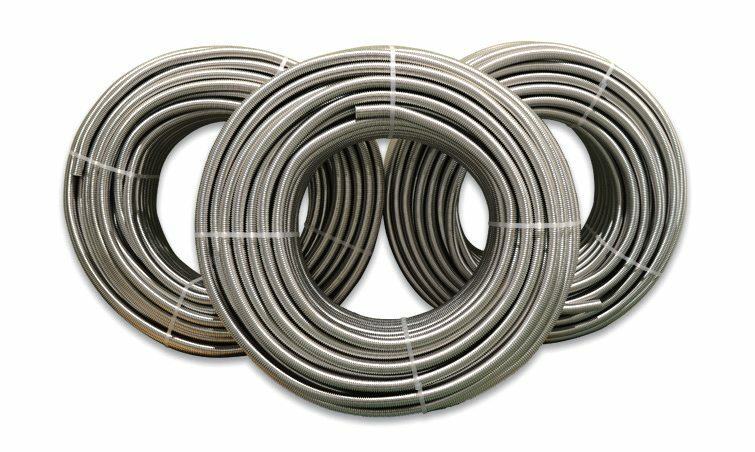 Dong-A’s stainless steel corrugated tubes, which is approved by UL(USA), RWTUV(Germany) and is certified as quality products with NET, KS(KSD3628) by the Korean government, are supplied in a roll up to 1,200m and used for water piping system inside buildings. The corrugation pitch is slightly wider to reduce the fluid resistance and thus generate no vibration or noise. 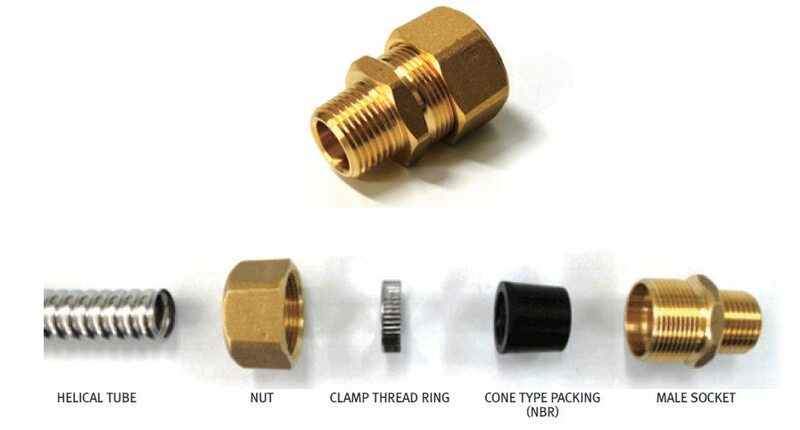 It connects with screw-in-field type of fitting with cone packing (NBR, E.P.D.M, Silicon, Graphite). Cut tube at right angle to tube length using an electric tube cutter. Make sure the cut end to be clean and flat. Use stainless steel brush to remove all burr on tube cut-end. Put clamp thread ring on tube and screw in clock-wise. Put sealant on tapered thread of brass socket, then screw the socket into piping system or boiler with high torque using a crescent wrench. 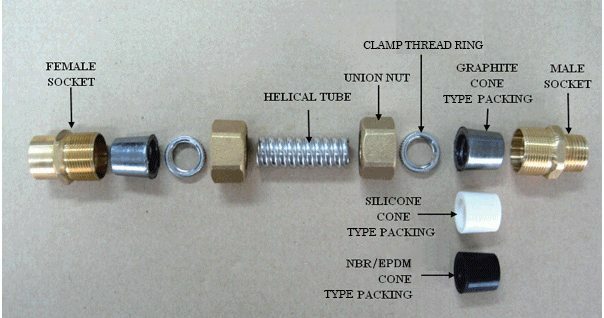 Make a whole assembly set of tube, nut, stopper ring, DO NOT use sealant on parallel thread of unino nut!